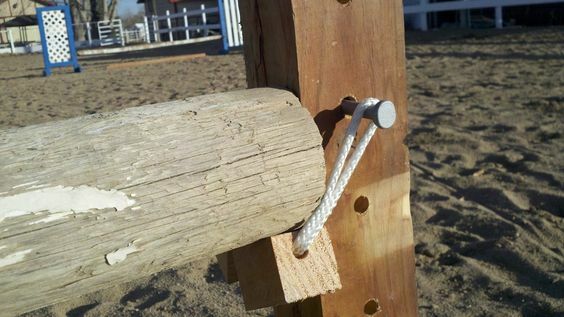 Whether you’re looking for more games to play with your horses, or wanting to see if any of them enjoy jumping, I’m going to show you the easiest (and cheapest) way to make two different kinds of proper horse jumps: cavalettis and jump standards. After that, I’m going to show you a bunch of homemade, crafty ways you can create jumps from stuff you may already have lying around. 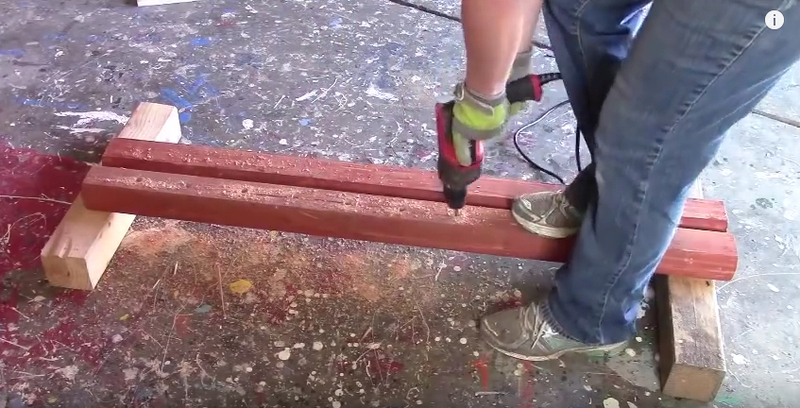 Now, if you think you can do a rush job by just using 3-inch screws to screw together a couple pieces of 2×4-inch wood into a cross… don’t. Yep, I tried that and they just fall over! 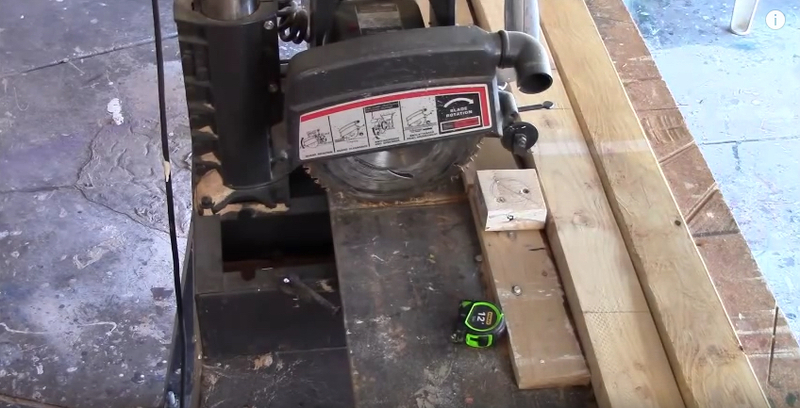 Two inches is simply not wide enough to be stable. 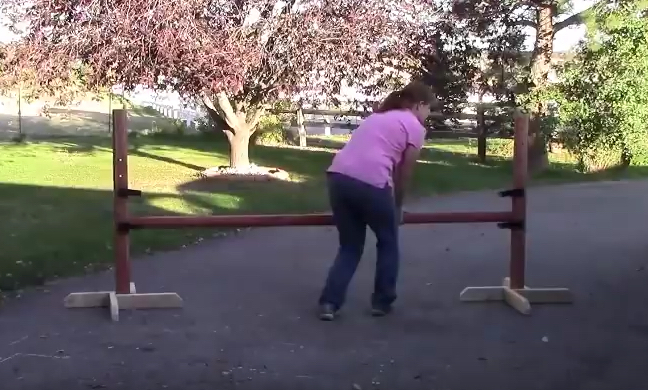 If you want to make professional-looking jump standards, where you can gradually increase or decrease the height in 4 inch increments, then Lisa from The Budget Equestrian shows us step-by-step how to do it in the video below. However, if you want a quick summary (the video is quite long) or you just need to something to show the builder-person who’s going to build them for you… then I’ve pulled screenshots off the vid to make this quick picture tutorial for you. 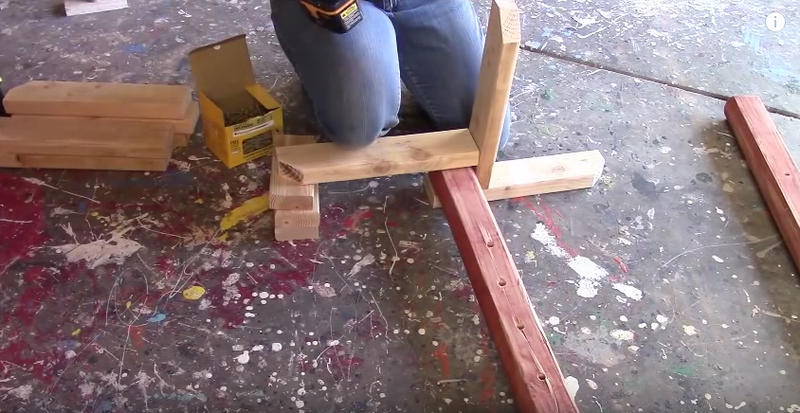 Note: If you want an even sturdier jump, you can use 4×4″ posts and 2×6″ pieces of wood for the feet. 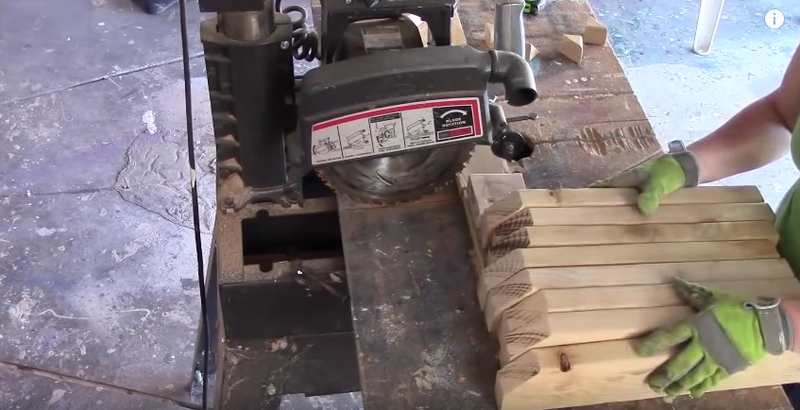 STEP 1: Take two, 8-foot long 2×4’s (2 inches x 4 inches), mark and cut them into 16-inch lengths = 12 pieces of wood (so you’ll have 4 extra OR only cut up 11 feet of your wood and leave yourself a 5 foot piece for future projects). 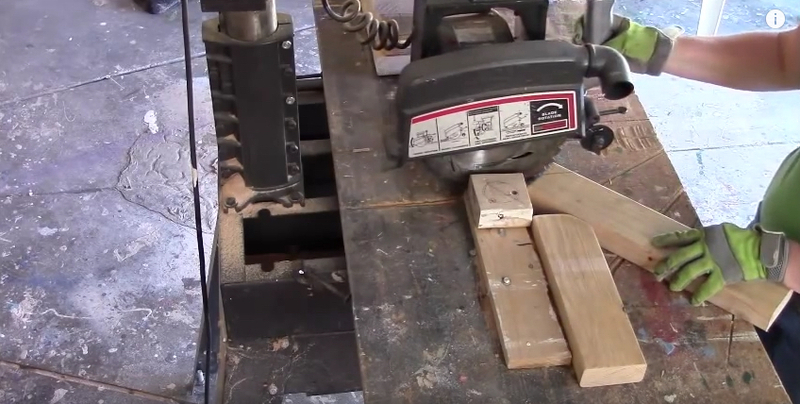 These will be used to make the pinwheel legs of the jump. 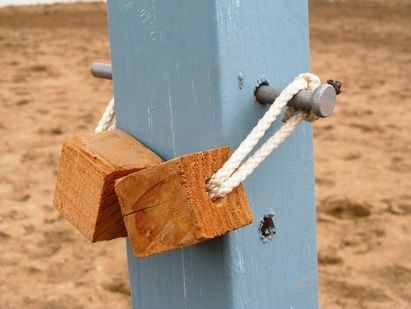 You need 4-16″ pieces of wood for each jump standard, so 8 pieces total. STEP 3: Now it’s time to prep your posts. 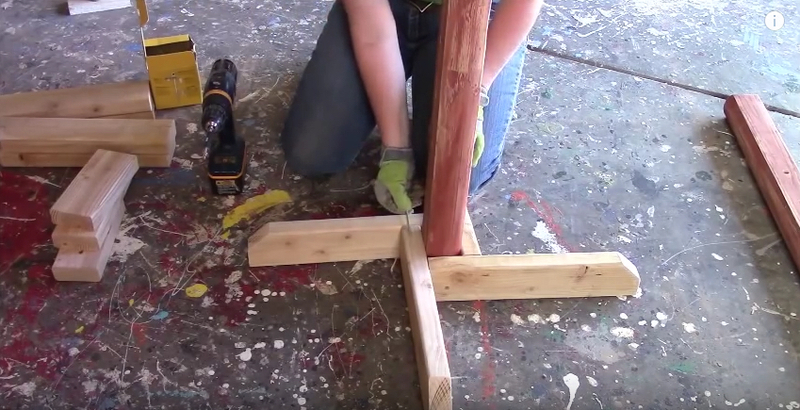 Take each square post (landscape timber) and cut them in half, so you now have four 4-foot long posts. 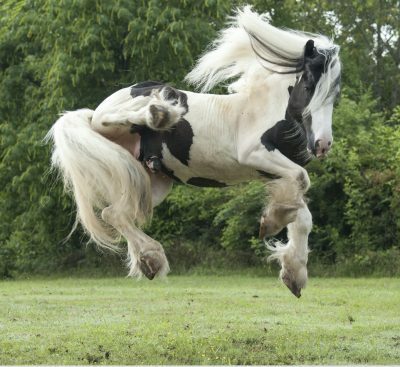 Thanks Jini…as you might of seen in my dreamer training video, I referred you to, about whips I have some old telephone poles that I use, but the jumps you are showing here look awesome. Im so thankful as my husband can build anything so since Dreamer does seem to like to jump (when it’s not slippery) it would be great to have some I could raise up higher as we both progress. Your blogs are always so informative from every direction. What a great horsey friend you are to have. I will posts some pics after we make one. ✌?️❤️?